DIRECTV and Momentum Pictures announced their exclusive premiere of The Program, the Lance Armstrong movie from Academy Award-nominated director Stephen Frears (The Queen, Philomena), on DIRECTV Cinema this February. The film, which made its world premiere in September at the 2015 Toronto International Film Festival, is about disgraced cycling champion Lance Armstrong’s doping scandal and downfall. It documents the true story of the meteoric rise and fall of one of the most celebrated and controversial men in recent history: Lance Armstrong (Foster), the world-renowned Tour de France champion. Frears directed The Program from a screenplay by John Hodge (Trainspotting) who adapted the script from David Walsh’s book Seven Deadly Sins: My Pursuit of Lance Armstrong. Besides Lee Pace, the film also stars Guillaume Canet, Jesse Plemons and Academy Award winner Dustin Hoffman. DIRECTV Cinema is a premium pay-per-view service that brings customers exclusive access to select, new films before they are released in theaters. The DIRECTV Cinema Exclusives Premiere program has premiered over 45 films to date. DIRECTV works with a number of studios to secure films for this program to release films exclusively on DIRECTV during a 30-day window prior to their theatrical debut. This release marks Momentum Pictures’ first exclusive film with the satellite TV provider. Ever since Lee visited China few months ago, he’s been an active user of weibo, a Chinese microblogging website. Today he made his Asian fans smile by sharing three selfies with hens, captioning them “Happy Valentine’s Day”. You can follow him on weibo under Lee_G_Pace. 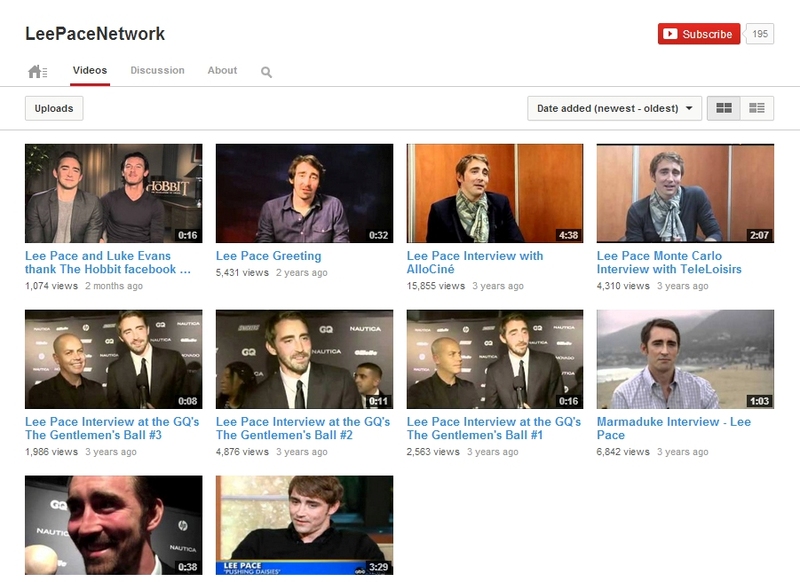 As posted on all social networks, Lee Pace Network had to change hosts (thanks Stars.bz! ), since the previous one has closed. Even though I could save the site and the gallery, I couldn’t bring the old domain (lee-pace.net) along. 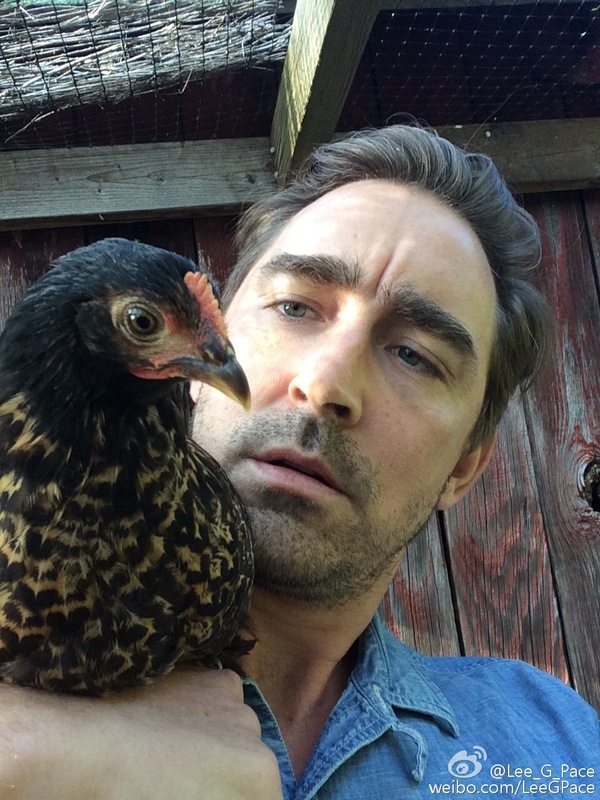 From now on you can follow all the latest Lee Pace news at http://leepace.info, so make sure to update your bookmarks. Vassar & New York Stage and Film, whose 31st Powerhouse Season is underway in Poughkeepsie, have announced additional casting for their summer collaboration, running through August 2. Golden Globe and Emmy Award nominated Lee Pace, Emmy Award-winning Kevin Mambo (Guiding Light, Fortress of Solitude), stage and screen stars Ari Graynor (The Sopranos, Fringe) and Jason Kravits (The Practice), Tony nominee Nancy Opel, plus New York stage stalwarts Theo Stockman, Christy Altomare, Cassie Beck, Lilli Cooper, Sarah Litzsinger, Samantha Ware, along with many more will appear in the remaining lineup of readings, workshops and main stage productions. Westchester couple Helen and Eliot have two children, lots of history, and a marriage that may be at the breaking point. Eliot is just trying to keep his family together, but may have made the mistake that tears them apart for good. From the scathingly hilarious pen of Nicky Silver (The Lyons on Broadway, The Altruists, Pterodactyls). If you’d like to make a reservation for reading, you can call Box Office (845) 437-5599. From July 24-26 it’s for subscribers only (Powerhouse Theater offers priority reservations access to the Reading Series to subscribers), booking will be open to all (based on availability) on July 28-30. Tickets can also be reserved at http://powerhouse.vassar.edu. They’re free, however the reservation is required. More information can be found here. Kristin Chenoweth, who played Olive in Pushing Daisies (good old times), is currently performing on Broadway in a show titled On the Twentieth Century and yesterday Bryan Fuller (Pushing Daisies creator) and Lee paid a visit to her former worker. AMC’s Halt and Catch Fire is about to kick off its second season, and star Lee Pace is hanging out at the Internet Week HQ to talk about what fans can expect this season and what it’s like to star in a show about the dawn of personal computing. He’ll also discuss the use of social media to engage with fans. The video is from Day 1 (May 18, 2015) of Internet Week 2015 in New York. Halt and Catch Fire is back! Lee Pace talked to Assignment X before Season 2 premiere about the technology, his understand of Joe and more. ASSIGNMENT X: So was this subject matter – the dawn of the personal computer – on your radar at all before you got involved in HALT AND CATCH FIRE? 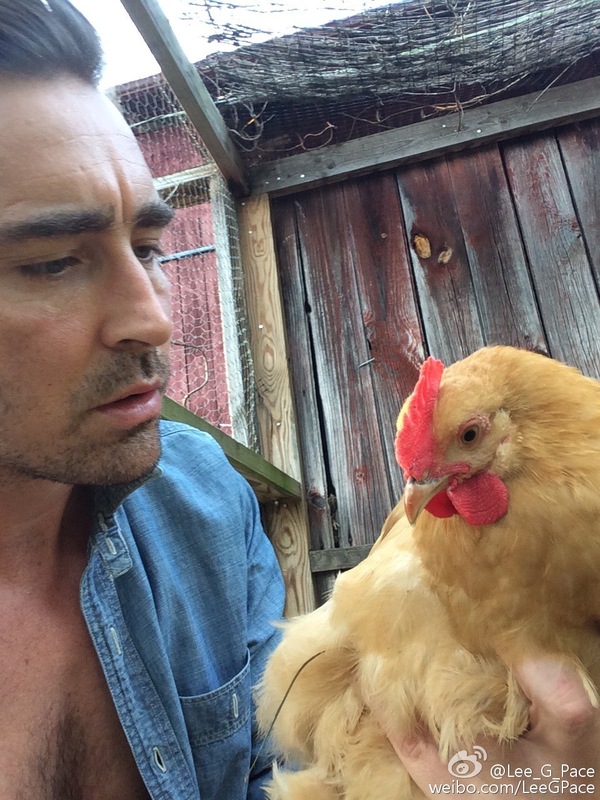 LEE PACE: Technology, absolutely. I’m always interested in technology and new things. I think that’s something I have in common with Joe MacMillan. The more I work on the show, the less it becomes about computers, the more it becomes about the people. But actually, I think that’s the truth with computers, too. It’s not about computers. There are people who, this is their life, making things like [computers], but really, it’s an expression of your life, the people you love, how you learn things you didn’t know before, how to kind of create your persona as you want to online. It’s just expressions of life. AX: Does Joe know what he wants? Or does he know, gets it and then realize it wasn’t what he wanted after all? For instance, at one point in Season 1, he secretly destroys the shipment of computers that his team made. PACE: Does anyone really get what they want in life? That’s the point. The fact is, Joe completes – he made the thing. He shipped it. And that’s a really hard thing to do. It’s an almost impossible thing to do. There are so many companies at this time trying to make computers, and they actually made it, and they shipped it. But I think there’s this Chekhovian problem that he finds himself sitting with, which is [his computer is] a clone of someone else’s machine. And [he thinks], “I can do better. The future deserves better. The people who will use these machines and the cultural moment that is on the horizon deserves better from people like me.” I’ve been thinking about Chekhov a lot in approaching this second season and, not to bore everyone to death by comparing this show to Chekhov, but just that idea that in [Chekhov’s play] THREE SISTERS, they spend the whole play thinking, “When we get to Moscow … When we get to Moscow …” And they never do. That’s a part of this show that I find very interesting. AX: As an actor, how do you see Joe? PACE: Well, the character is an enigma to me. He is a riddle, in a way. It’s almost what Jon [Lisco] had said when he was talking about the title. The title is a riddle, HALT AND CATCH FIRE. What those words mean in sequence is a riddle. The character is a riddle. I think all the characters in the show are a riddle. But so are the people I know in my life. I think that is the thing I am most interested in about with this show, is its self-examination. You try to unravel, “Is that what that meant? Is that why I’m having a hard time falling in love? Is that why I have a hard time getting what I want?” or whatever. “Is that why I don’t understand the meaning of God?” or XYZ. Whatever it is. It’s about figuring out those riddles, and that’s been my experience playing Joe – trying to figure out who this man is, because he doesn’t always succeed. The bugs in the machine of Joe MacMillan are the most interesting things. The fact that he made this computer, but it was a failure. It’s something I’m very interested in. It’s great drama, and it’s simply about people. What makes the story fascinating is this sense of, great love is right next door to great heartbreak. Ambition is right next to this kind of inertia of time is passing and who cares anyway? And in examining those human qualities at a specific moment in time is illuminating about that moment in time. Chekhov was writing in Russia at the end of the 1800s, pre the Revolution. Russia’s a very different place now for those people. [In HALT], these are Americans, creating technology before a revolution that transforms the way we behave. I think we’re just in the middle of the brink of this revolution. This is before it. These are the people who are looking towards it and examining how they fall in love, how they deal with their defeat, how they maneuver through life. It’s a worthy examination, because it teaches us about this technology and about how the culture has been influenced by the technology. The question always is, does Frankenstein bear a mark on the monster he makes? Is the monster a reflection of who the Frankenstein is? Is this technology a reflection of all these sociopaths and generous people who have created it and given it birth? PACE: Maybe I’m working on something with the universe with these two characters [laughs]. I don’t know. It was unintentional if it’s true – you just play the scenes that you’re given. The Joe we see in this next season is going to be very different. They’re living in a very different set of circumstances. AX: What would you most like people to know about HALT AND CATCH FIRE going into Season 2? PACE: That’s a tough one. [laughs] There are so many things. I guess I would want people to be open to the enigma of it, what we’ve talked about, the riddle of it, the connections people make [about whether to be] available to people in their own lives – the troubled relationship with their boss or their strained relationship with their girlfriend, their success when they’ve succeeded. I think that’s really what the show is about; it’s less about the machine. Don’t forget to tune in AMC every Sunday at 10 pm. 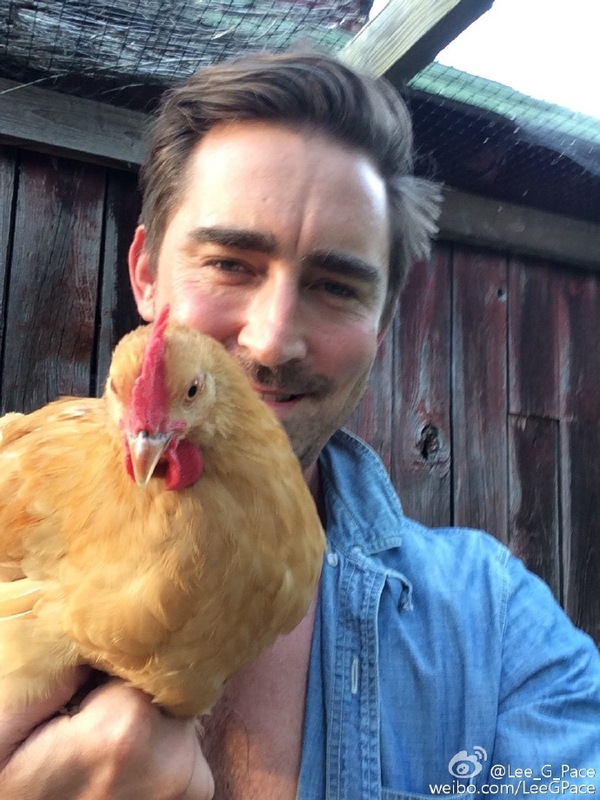 Season two of Halt and Catch Fire is quickly approaching and Lee is already very busy promoting the show. One of the first interviews is coming from Fresno Bee. Read bellow what Lee has to say about his co-stars, the famous movies he’s done and more. “Halt and Catch Fire” is a series set in early 1980s that looks at a small company in the middle of the personal computer revolution. Pace plays Joe MacMillian, the driving force behind the company. Pace compares the series to Anton Chekhov’s “The Three Sisters” — both deal with themes of how life can get better. For his character, that means improving on the personal computer his company created with a little help from the competition. Because Pace’s character is so elusive, he’s excited about getting a second season to continue his examination of the role. He’s also excited he to work with a strong supporting cast that includes Mackenzie Davis, Scoot McNairy and Toby Huss. When it comes to films, Pace has been in some of the biggest franchises of recent years. He played Garrett in “The Twilight Saga: Breaking Dawn – Part 2” and Thranduil in the four “Hobbit” features. Pace also starred in “Guardians of the Galaxy” as Ronan. Pace laughs at the suggestion he will only work in movies guaranteed to make more than $100 million. The success of the films has caused Pace to pinch himself, a lot. Whether it is a monster film hit or a role in a cable series, Pace approaches work the same way. “When you do this right, its less about the play or TV show or movie, and more about the investigation of humanity. I enjoy kind of taking the time and place of a character and letting that be unique factors that act on who the man is or the elf is. I find that very exciting. The research I did into this moment in American history is fascinating and forms who Joe is,” Pace says. The role gets even more complicated by the relationship his character forms, which creates both excitement and fear for Joe. Pace likes the emotional elements because he believes unrequited love is only one heartbeat away from heartbreak. The second season of “Halt and Catch Fire” will examine the importance of games to the growth and success of the computer industry. At the same time Pace will be dealing with the tech elements, he will be trying to get a handle on the illusive nature of his character. Billy Boyd, who portrayed loyal hobbit Pippin in the Lord of the Rings trilogy, collaborated with Jackson, Fran Walsh, and Philippa Boyens to write “The Last Goodbye,” the song that will play over the credits when The Hobbit: The Battle of the Five Armies opens on December 17. The official music video includes Boyd’s performance, mixed with scenes from Lord of the Rings and Hobbit, and lovely behind-the-scenes footage. Take a look. The soundtrack for the final Hobbit film arrives on December 9, and can already be pre-ordered from iTunes and Amazon. World premiere of The Hobbit: The Battle of the Five Armies is quickly approaching. Actors attending have been revealed today by Be The Red Carpet, and what a lineup this is! As previously posted, the world premiere is happening in London, UK and Lee Pace is just one of the many celebrities who’ll be walking the red carpet on December 1st. Other guests are Martin Freeman, Richard Armitage, Evangeline Lily, Luke Evans, Benedict Cumberbatch, Orlando Bloom, Ian McKellen, Andy Serkis, Stephen Fry, Sylvester McCoy, Mikael Persbrandt, Ryan Gage, John Bell, Aidan Turner, Ken Stott, James Nesbitt, Adam Brown, Jed Brophy, Billy Boyd and Peter Jackson. Another event Lee will be at was confirmed few days ago – Canada premiere on December 6 in Toronto. Canada premiere Dec 6 in Toronto. Hearing Lee Pace, Luke Evans and friends will be there. Are you coming to any of these two?